Welcome to the first 5 QUESTION INTERVIEW. This is a semi-regular feature on the blog, in which we put 5 questions to some of the fantastic folks who have booked their tables at #TBCF2016 so that you can get to know them a little better ahead of meeting them in person at True Believers Comic Festival 2016 at Cheltenham Racecourse on Saturday 6th February 2016. My name is Rees Finlay, and I am a writer and artist for Damn Dirty Comics. 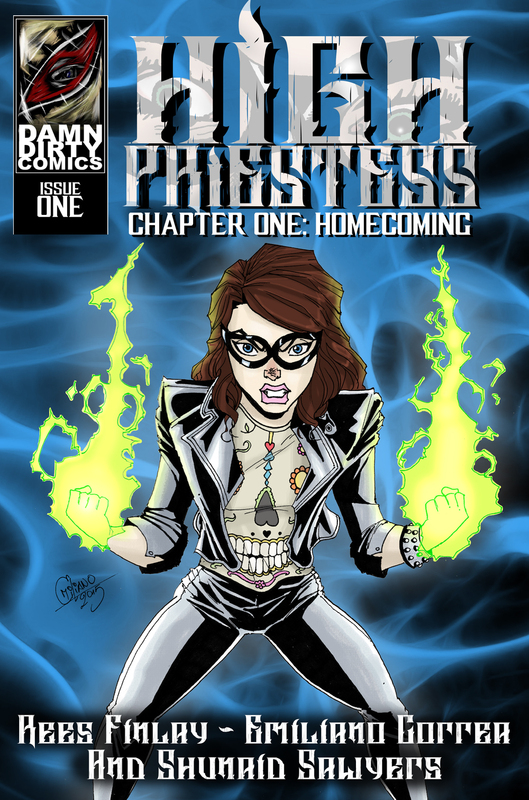 We specialise in self published comics and give young talent a chance to break into the indie comics scene. Definitely meeting new people. I quit my 9 to 5 job to pursue a career in comics. and I've always said if I could reach out and have just one person read and enjoy, relate-to and like one of my books I'd be happy. And as I write this, my first book has completely sold out and my next one is about to go to print, but its the folks who'll inbox me to say how much they enjoyed my work that makes it all worthwhile. Ah! now this question has been haunting me for a while now, maybe one of you can help me? I remember buying my first comic at my local comic store just after the release of the first Spider-Man movie. It must've been an old one as it was in the back issue box. I remember it was a Spider-Man comic, with him on the cover fighting the Spider-Slayers, but for the life of me I cannot seem to find it again. I would love to track it down at reclaim that slice of my childhood. Haha, I jest of course. Be sure to check out Rees' work at the Damn Dirty Comics website and stop by his table at True Believers 2016 and say hello.